Fabric painting is a very good hobby for house wives. They can be painted on Sarees, dresses, bed sheets etc. and can give a new look to the clothes. 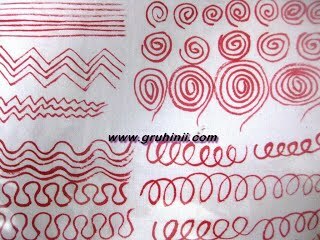 I hope these tips may be useful for the beginners to develop their skills in fabric painting. Acrylic colors are ready to use and wash proof. 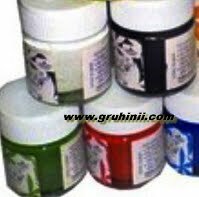 They are available in different ranges like pearl colors, metallic, glitters etc. Brush is the most important tool in painting. Brushes of different sizes and shapes are given numbers depending on the thickness of the brush. 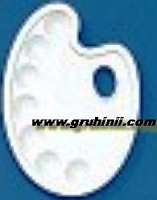 There are also round brushes and flat brushes starting from 000 to 14. Here we are using brush No 6 round brush. A Tip before painting: These colors can be used on any kind of fabric. Always wash (remove the starch) and iron the fabric before using. 2. Secondary colors (green, orange and purple). These are created by mixing two primary colors. 3. Territory colors are those colors which are created by mixing primary and secondary colors. They depend on the percentage of mixing. Forms of Fabric designs: There are different forms like floral, geometrical, ethnic, spreading designs, figurative forms of designs. 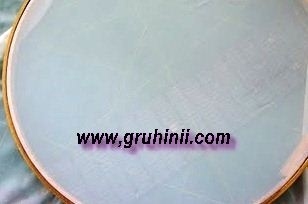 There are different types of fabrics like cotton, woolen, satin, silk, raw silk, poplin etc. on which you can paint. First try to paint straight lines, Zig zag strokes, waves, circular way, anti- circular way and spirally. Practice until you get those lines clearly and neatly.